Raja is trustworthy, reserved, confident, and is a thoughtful leader chosen by his peers. Raja means “prince of small kingdoms” and he’s just that. He was once a hunter/ jumper on the B show circuit who was known for “packing” (taking care of) his rider. 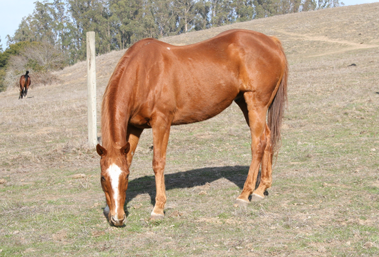 Raja’s former owner intended to euthanize him for a moderate injury, but his trainer arranged for him to come to us with his friend Sparkles in 2006.